God goes to great lengths to rescue lost and hurting people. 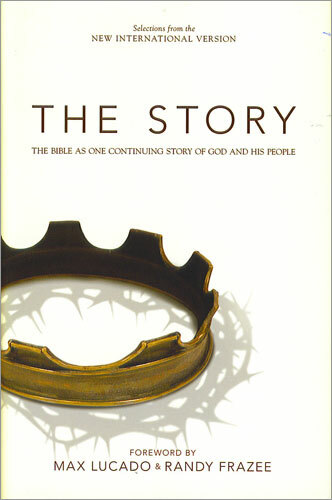 That is what The Story is all about - the story of the Bible, God's great love affair with humanity. Condensed into 31 accessible chapters, The Story sweeps you into the unfolding progression of Bible characters and events from Genesis to Revelation. Using the clear, accessible text of the NIV Bible, it allows the stories, poems, and teaching of the Bible to read like a novel. And like any good story, The Story is filled with intrigue, drama, conflict, romance, and redemption - and this story's true!